Product prices and availability are accurate as of 2019-04-24 21:20:57 EDT and are subject to change. Any price and availability information displayed on http://www.amazon.com/ at the time of purchase will apply to the purchase of this product. 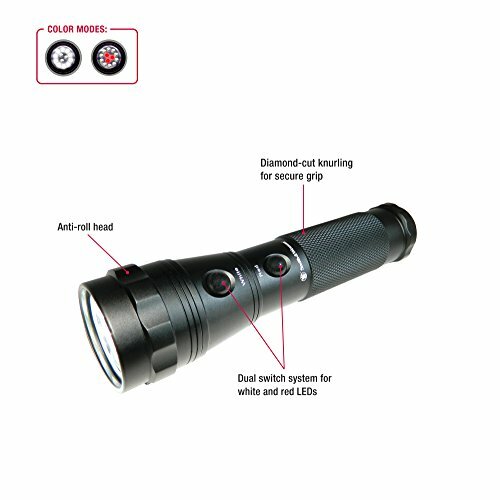 he Smith&Wesson Galaxy 13 LED Flashlight is highly durable and functional in any situation. 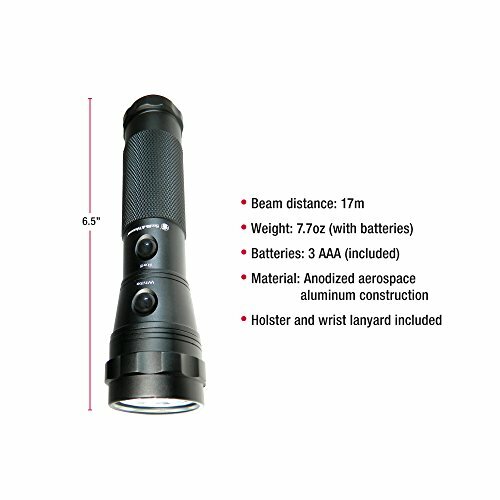 At 6.5 inches long and weighing only 7.7 ounces this flashlight illuminates up to 19 lumens in its full-size design. 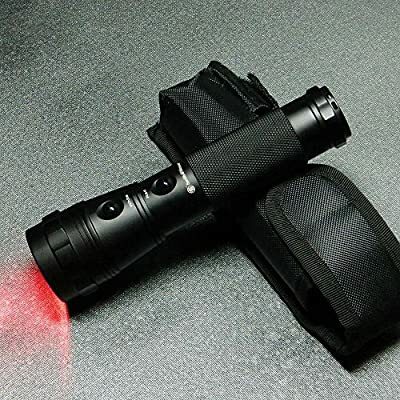 This flashlight also features a patented dual switch system for quick and easy selection of red or white light with an included holster and lanyard. (3) AAA batteries included. 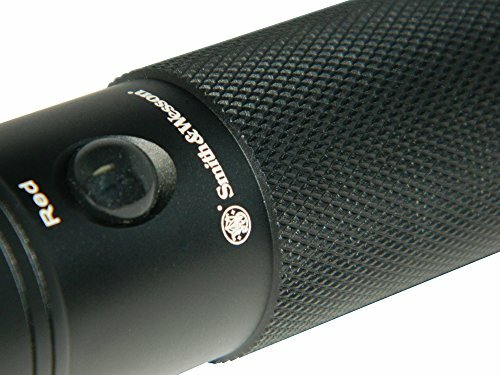 Hailing from the famed firearm manufacturer, the Smith & Wesson Galaxy 13 flashlight is an ideal choice for aviators, law enforcement, hunters, campers, and members of the military. 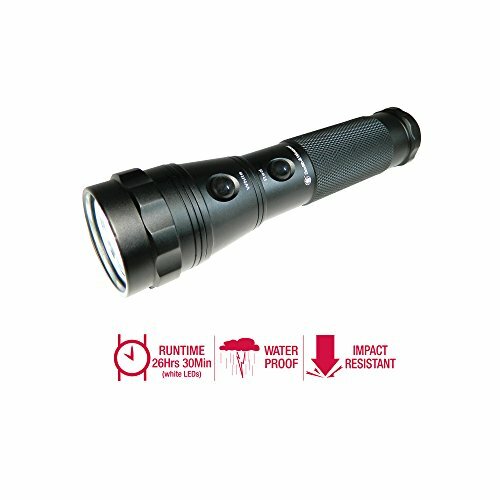 The Galaxy 13 is made from tough anodized aluminum, with 10 white LEDs (for general illumination) and three red LEDs (for seeing in the dark without losing your natural night vision). The white LEDs handle the heavy lifting, with a 30-hour battery life via three AAA batteries (included). The red LEDs, meanwhile, are particularly valuable for situations where you don't want to disturb a driver but still need to read a map, or when you're hunting in the early morning hours but don't want to attract too much attention. 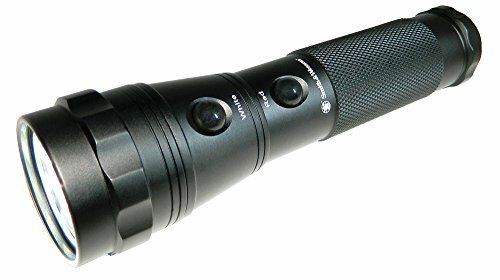 The red LEDs--which last for up to 80 hours on a single set of batteries--are popular among pilots, astronomers, truck drivers, military personnel, and police officers. The flashlight, which comes with a deluxe holster, carries a limited lifetime warranty.The Beam distance for the White is 17.1 meters and Red is 16.5 meters.